← International Women’s Day - 8M: Calling for more women in STEM! 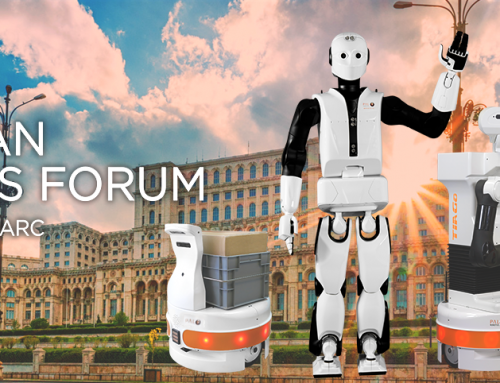 The European Robotics Forum (ERF2019), one of the most influential events in robotics, was a success again on its 10th edition! 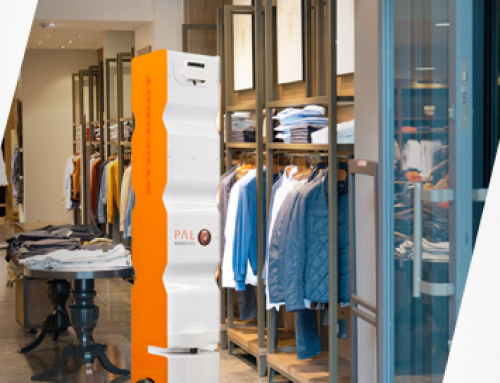 PAL Robotics could show how service robots can help in different areas, both through our hands-on demos, that attendees could enjoy at our stand and through the workshops in which we were invited to share our expertise. Bucharest city warmly welcomed the European robotics community – we even had a custom-made traditional “Ie” dress for our humanoid robot REEM-C! 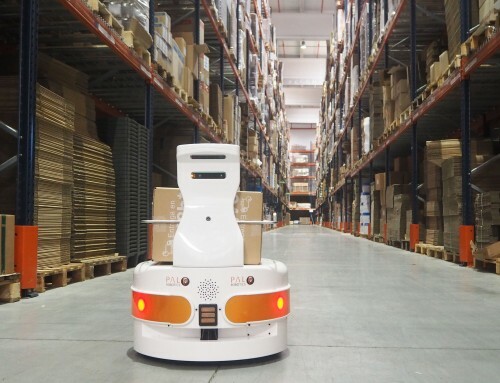 The increasing interest of autonomous mobile robots (AMR) was also noticed at the European Robotics Forum, where we could share our experience in different workshops related to mobile robots and logistics. 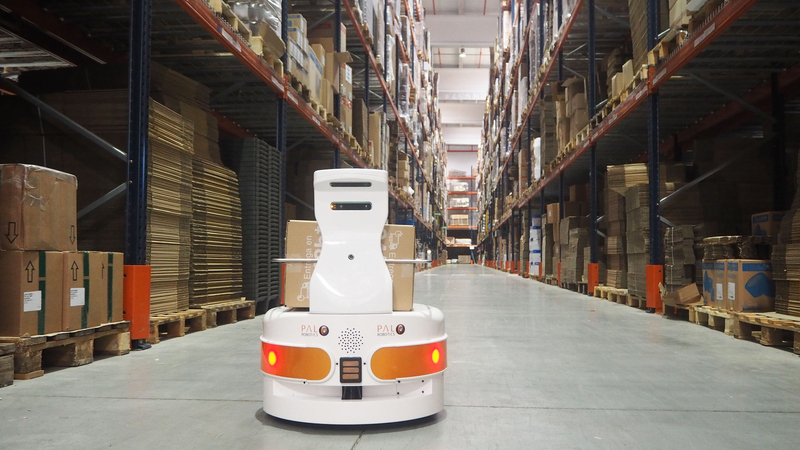 Robots like TIAGo Base keep proving themselves as a cost-effective solution to optimize resources in diverse kinds of industrial plants, mainly due to its flexibility and efficiency in taking care of logistics tasks of all types. 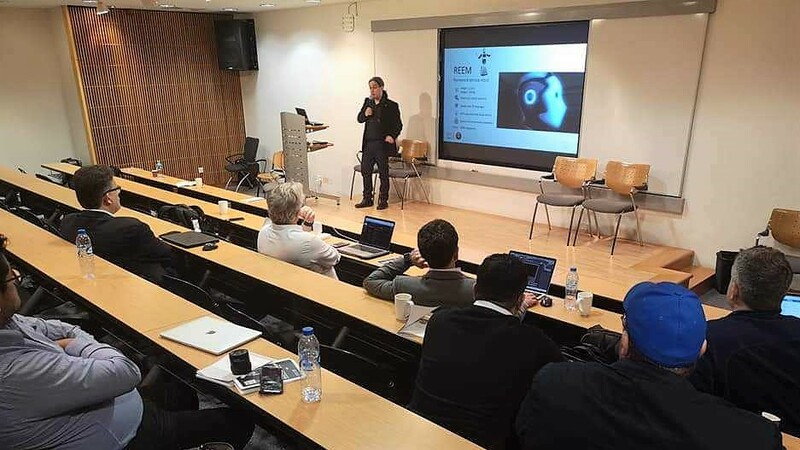 As co-organizers of the Workshop of Collaborative Robotics, we could share our experiences in sectors like industry, healthcare, and hostelry, and outline the research conducted for the future of “cobots”, with projects like Co4Robots or RobMoSys. In addition to the Workshops presentations, TIAGo Base was actually demonstrating its skills safely navigating in the crowded environment in the ERF2019 venue, avoiding obstacles, moving safely around people and delivering sweets to those who wanted some. EuroBench: is creating the first consolidated benchmarking procedure in robotics worldwide, specifically in humanoid biped robots, exoskeletons and prostheses. Memmo: is developing a new way to control complex robots using a new concept called “Memory of Motion” and tested with TALOS. AnDy: improves the robots’ ability to physically interact with humans in order to safely collaborate with them. Comanoid: has developed applications for multi-contact collaborative humanoid robots so they can help in aircraft manufacturing. Two leading companies that develop and commercialize biped robotic technologies also gave the main insights on how they develop cutting-edge platforms, Össur for advanced exoskeletons and prostheses, and us, PAL Robotics, for the development of biped humanoid robots like TALOS, a fully torque controlled robot that stands as one of the most advanced platforms available. 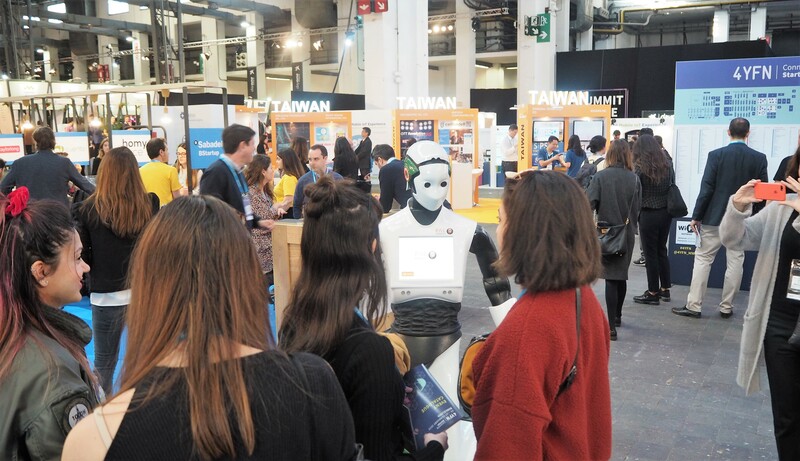 ERF2019 attendees could enjoy a truly hands-on experience with TIAGo robot, a platform widely used in all kinds of research projects. 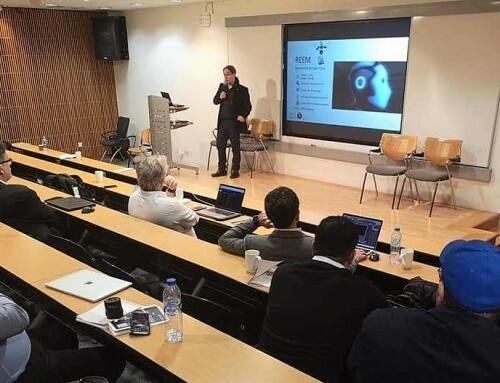 The Workshop session “Educational Robotics Tools In Academia and Beyond” invited participants to learn how to program two robotic solutions: an exoskeleton and a TIAGo robot. 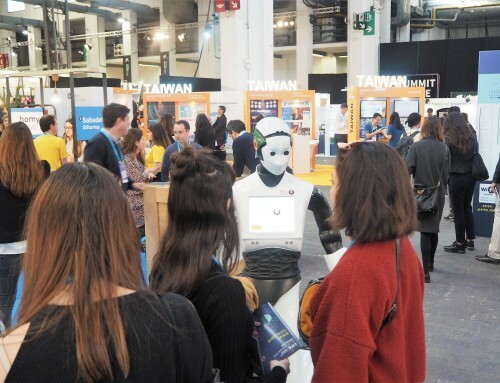 Thanks to the open-source TIAGo simulation model and its ROS tutorials online, participants were able to program TIAGo to wave and greet people when detecting a face. It was a very nice occasion to directly experience how smoothly TIAGo works, and also a good opportunity for some of them to get started in ROS! 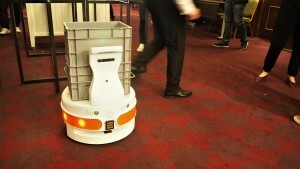 In a few minutes, a demo was successfully developed and implemented into the real robot. Just imagine if we left the robot for some more time with them! The rest of the time anyone who stopped by our stand could also teleoperate TIAGo’s arm through a haptic device. The most surprising part of this demo was to receive the force feedback captured by TIAGo’s end-effector through its F/T sensor, on the haptic device. 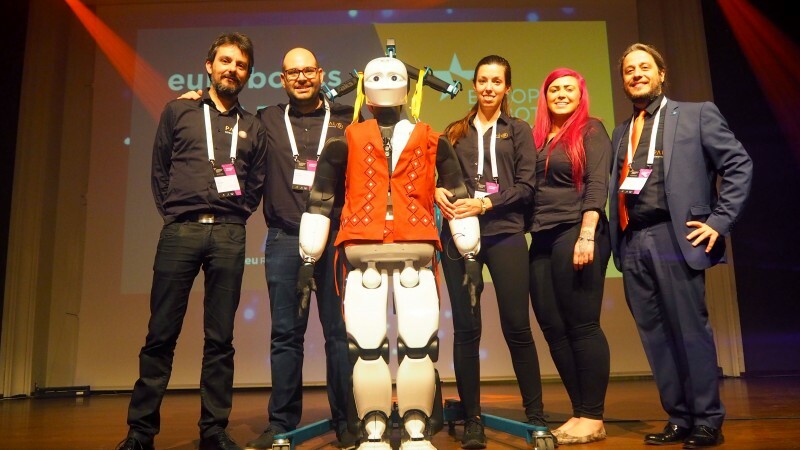 On behalf of PAL Robotics, we would like to send our sincerest gratitude to euRobotics and to the ERF2019 local organizers to make this Forum possible, make each edition grow year after year and enrich the robotics’ state of the art, while reinforcing the European leadership in the field at the same time. See you in ERF2020, in Málaga (Spain)!